To provide experiences that inspire inclusion, participation and excellence through wheelchair basketball. We believe everyone has the opportunity to be included in wheelchair basketball. 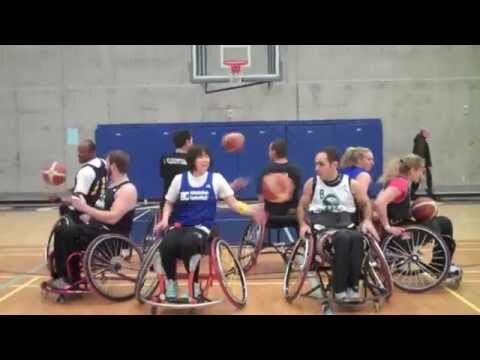 About UsSince 1983, we’ve been growing the sport of wheelchair basketball for British Columbians. Our Let’s Play program has created an environment for children with mobility limitations to thrive in sport. We provide facilities, training, and equipment for hundreds of athletes across the province, working with participants at all competitive levels. We work with the BC Basketball Officials Association to ensure world class officiating for athletes and fans alike. We’ve also hosted major sporting events including the 2014 Canadian Women’s Wheelchair Basketball Championships to the delight of players and fans alike. We simply can’t do it without your financial support. Your contributions provide chairs, gym rentals, and a ton of smiles. Your support provides opportunities for elite athletes to train and work to their fullest potential. We provide an opportunity for children with disabilities to meet friends, to play with their peers, and to build a good foundation for them to compete at the international level. We do all of this and more. But we can’t do it without your help. ""If everyone could be as open to each other regardless of age, gender, race or ability the world would certainly have a lot less problems, and I am always proud to see my own children interacting in such a way, something which I definitely thank BCWBS for facilitating". "